Misaligned teeth are extremely common. In the past, those who wished to correct their misalignments were limited in their options. Today, teens and adults whose jaws have stopped growing can choose between traditional metal braces and Invisalign clear plastic aligners. Invisalign is a set of aligners that must be changed every two to three weeks, offering patients with a comfortable, convenient and private way to straighten teeth. 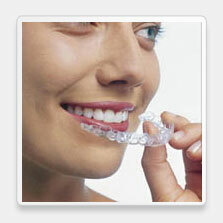 Unlike braces, clear plastic aligners are virtually invisible to others. 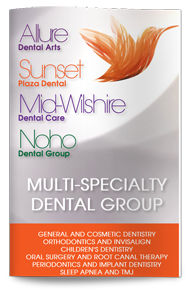 They are designed to fit your teeth perfectly and gently move them according to your treatment plan. Because the trays are removable, teeth are easy to brush and floss, and you will be able to eat and drink as usual. Braces, of course, cannot be moved, and plaque tends to build up around the brackets and wires if dental hygiene is not scrupulously maintained. Not all malocclusions, or misalignments, may be able to be treated with Invisalign aligners, however. Severe malocclusions or bite irregularities may need to be corrected with traditional braces. If you have extensive bridgework or veneers, you may also need to consider other orthodontic options. The cost for braces versus plastic aligners can vary, and not all dental insurance plans will cover both. However, if a plan covers orthodontic work, it may cover at least a percentage of the process. If you have misaligned teeth and would like to learn more about how you can get a straighter smile, contact our West Hollywood dentist to schedule a consultation.